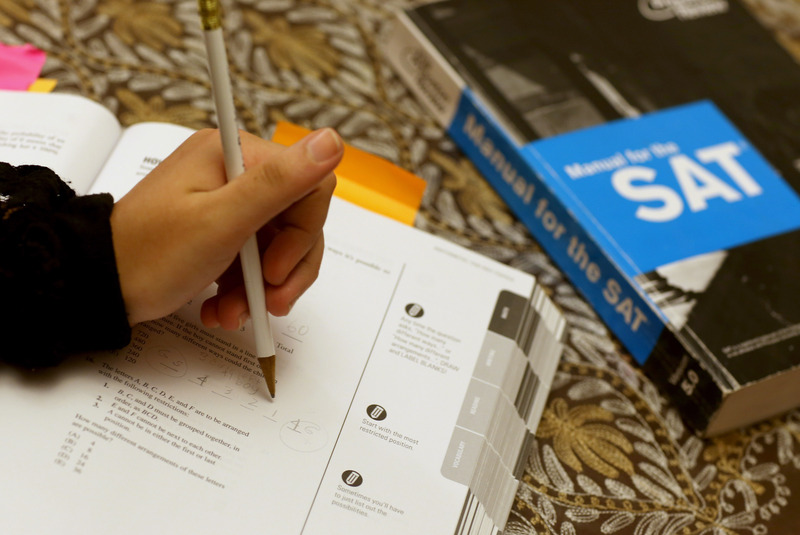 The College Board announced yesterday that they’re making major changes to the SAT college entrance exam. A totally new test will be introduced in 2016, which means that current ninth graders will be the first group to take the new test as high school juniors. And you know what? I actually don’t think it’s a bad thing. It’s been known for a pretty considerable amount of time that the SATs don’t really test anything other than how well you take the SATs; the overhaul, however, sounds like it could go a little ways towards fixing that problem. AND: Essays will no longer be required. If students wish to submit an essay, it will be graded separately and an additional score given for it. Although a bit of an uproar has arisen because of the elimination of the essay section, it actually sounds to me more like it’s going back to a previous iteration of the test. Back in my day, we took these things called SAT II tests in addition to the regular SAT; now, I believe they’re called SAT Subject Tests. Basically, if you wanted to give a little boost to your college application, you could take a number of optional SAT IIs in subjects not covered by the SAT: Foreign languages, history, and so on. One of the SAT IIs I took was the Writing Subject Test – which, incidentally, was discontinued in 2005 and rolled into the regular SAT. Separating the essay out again brings the format of the test back to what it was circa my high school years. And to be honest, a lot of high school students don’t know how to write anyway (though perhaps eliminating the essay requirement will give them less incentive to learn). I was a pretty competent writer when I entered college, but even then, I had to learn new ways of structuring academic pieces. The five paragraph essay format most high schools teach just doesn’t cut it in higher education. Said College Board President David Coleman to the New York Times, “Whenever a question really matters in college or career, it is not enough just to give an answer. The crucial next step is to support an answer with evidence ... No longer will it be good enough to focus on tricks and trying to eliminate answer choices. We are not interested in students just picking an answer, but justifying their answers.” I love this. Having to include justifications for your answers puts the focus on the thought process, rather than on the answers themselves — and being able to think deeply is a skill that will serve students well, both in college and beyond. And neither is the College Board limiting their changes to the test itself; they’re also trying to address the criticism that wealthier students, who can afford test prep courses and materials, have a distinct advantage over students from lower income households, who can’t. A partnership with the Khan Academy is in the works to provide free test prep materials; low-income students taking the SAT will also receive four fee waivers for college applications (because even getting and submitting your scores can be expensive as hell). We’ve been sorely in need of some education reform for a long, long time — and maybe the SAT makeover will inspire more of it.